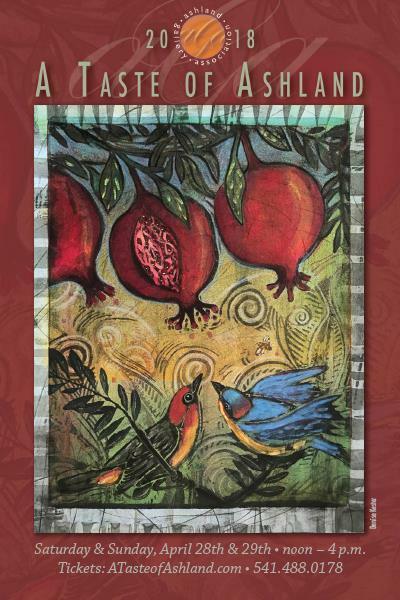 Denise Kester will be signing her Taste of Ashland Posters during A Taste of Ashland at Ashland Art Center, Saturday and Sunday from 1-2pm. Glass Artist, Dan Seffinger will be demonstrating his process, Textile Artist, Jo Ann Manzone and Photographer, John Kirk showcase their work. Music and Wine tasting.